Lift your leg and laugh! 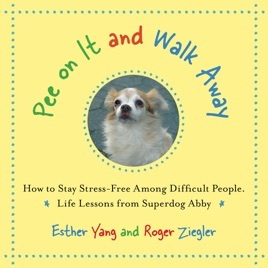 Abby, the world's "Zen-est" pooch, shares her sassy secrets for staying stress-free with anyone, anytime. This hilarious life-changing, pet loving picture book is much cheaper than therapy. Learn to deal with difficulty the Abby way. Just pee on it and walk away.